Think your current ERP system is too outdated? 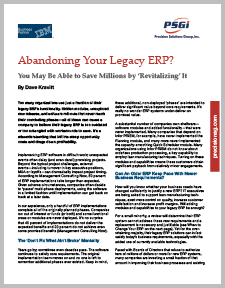 Download our white paper, Abandoning Your Legacy ERP?, to learn how you might be able to save millions simply by “revitalizing” your old ERP. Fill out the form to the right to download now!